Self-Love is the key to all we want in life. Whether it's a fulfilling relationship, meaningful career, freedom, and inner-peace. nourish your body, detox your mind, embrace your emotions, follow your soul's guidance. You unlock your full potential to love, to work, to find inner peace, and to make a difference in the world. Let's me show you how. Take the "Self-Love Checkup" below. Please rate your satisfaction in different areas of your life. Try to be as honest as possible. Please fill in below how much you agree with each statement. Try to be as honest as possible. You’re not taking care of your body. You’re not sleeping enough. You can’t remember the last time you exercise. Frequently skipping meals, or eating stuff you know isn’t good for you (processed food, fast food, unbalanced meals). You're not taking care of your mind. You’re constantly in stressed out, anxious, exhausted. With no breaks, and recreation time for you to recharge. You always worry about what other people think. This makes you do things that aren’t authentic to you, just to protect your images, please others, or avoid conflict. You say Yes when what you want to say No. You don’t feel confident. You feel small and say “I don’t belong here.”, " I can't do it." "They're better than me." You're afraid of being found out to be a fraud: you’re not as good as they think you are. You feel that you don’t deserve what you have. when something good happens, or when an opportunity shows up, you self-sabotage. You're not open to receive in a relationship. Kind behaviors of your partner make you uneasy. You are afraid that he/she may love you too much. You blame, shame, and guilt yourself. You say to yourself “How can I be so stupid?” after making a mistake. You’re putting up with a disrespectful, even abusive relationship. You don't dare to create and defend your boundary in relationships with others. You hold a grudge, unable to let go of the past and forgive, including forgiving yourself. You are unable to express and ask for what you want. In fact, you don't know what you want. You’re not taking your aspirations, your wishes, and your dreams seriously. Maybe you’re even working hard to make others’ dreams happen, instead of yours. Get specific: What are you doing? Who else is there? What does your life actually look like? How do you feel? I understand that this form is only an expression of interest, not a registration to Milena Nguyen's coaching / mentoring program. Great work! You’ve completed the Self-Love Checkup. Though I had been leading the kind of ‘healthy life” for years, I never had any break-through. I hardly felt peace or fully understood the meaning of the word “happy”. The most wonderful thing happened to me since I embarked on this journey is that I get to know how to establish a connection to my animal body, to listen and to ask questions… to come back and stay right here, in the moment, inside my body. I’m enjoying the whole transformation process with Milena. If you are at the stage of deciding whether or not to walk on this road, I would encourage you to put it into action. I decided to join the programme and consider it a self-investment. I must say that I am so proud to be in the programme. The investment really pays off! Milena was the light when I was in the dark tunnel. She shares with me the light but gives me enough space to do the journey on my own. Her approach is simple yet so powerful. As a coach, she doesn’t give me lengthy theory but modifies the content based on my personal state. She is very direct and open to sharing her own practical experiences. 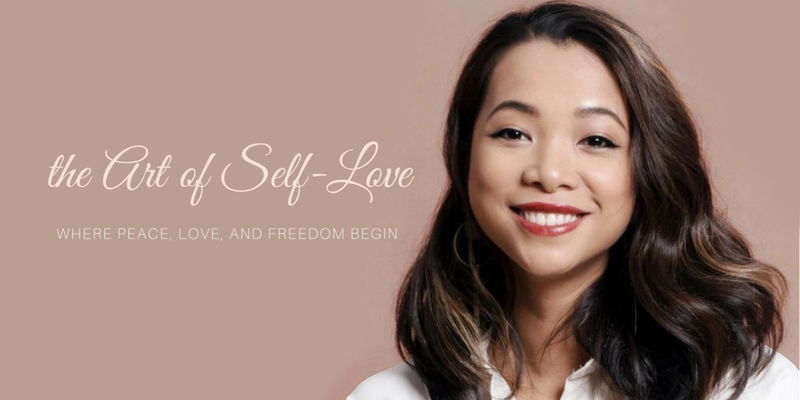 She has enlightened me about self-love which makes me feel endlessly fulfilled and empowered to actually live and thrive.